At Sash Window Experts we are passionate about preserving and renovating original period sash windows. 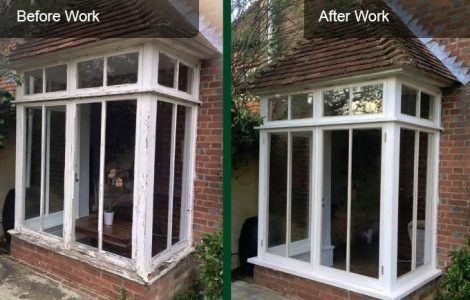 We have more than 20 years’ experience repairing, restoring or replacing sash windows in Tunbridge Wells and across the South East. Our craftsmen use specialist manufacturing techniques to breathe new life into your sash windows, preventing drafts, water ingress and helping to reduce your energy bills. We can also manufacture and install new double glazed hard or softwood sash windows if your originals are beyond any realistic economical repair. Whatever the issue with your windows I'm sure myself and my great team can help you, so please don't hesitate to get in touch by calling us on 01892 269011. The team at Sash Window Experts care passionately about our British housing heritage. Did you know that almost 75% of the UK’s original box sash windows have been lost as a result of demolition to make way for new buildings and new types of windows? Luckily, Tunbridge Wells has no shortage of beautiful period homes with a wealth of period architectural features including box sash windows. With a history going back to the 1600s, Tunbridge Wells was a popular spa resort for well heeled visitors in Georgian times, rivalling both Bath and Brighton. In the early 19th century, wealthy merchants and businessmen chose to make their homes here and many large family homes and villas were constructed, notably by well known architect Decimus Burton. Inspired by the ‘country in the town’ concept, he built Calverly Park with its large detached Victorian houses. Other ‘arcadian’ conservation areas in Tunbridge Wells include Camden Park, Hungerhall Park and Nevill Park. At Sash Window Experts, we are dedicated to preserving the town’s historic windows through high quality restoration, renovation and draught proofing services, so that homeowners can keep their desired traditional window features and allow an important part of our British design heritage to continue. WHY CHOOSE SASH WINDOW EXPERTS? At Sash Window Experts, we are fully committed to our work. 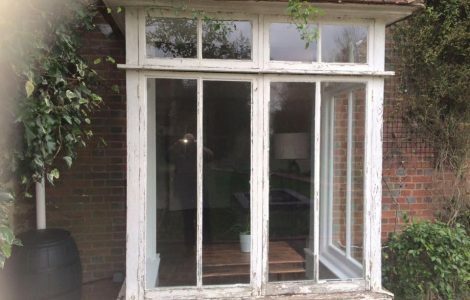 Not only is our expert team highly skilled in the art of repairing and renovating sash windows, but we do everything possible to restore the original function and beauty of your period windows. It’s the reason why we receive many recommendations and positive feedback from our clients. Our superb team of craftsmen are not only highly skilled, they also care deeply about what they do. Our artisans will go the extra mile, doing everything possible to bring function and beauty back to your windows – it’s the reason why we get so many recommendations! 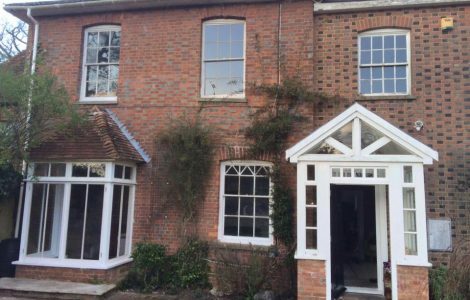 If you love the period charm of your sash windows, but you are fed up with the drafts, rattling and noise, our dedicated team can restore your beautiful windows to their former glory. We are a family-run business offering competitive prices. Call us today on 01892 269011 for a no obligation quote. We promise you'll be delighted with our work and our prices. We were impressed, both with the prompt response and quote and the completion of the work itself, by a team of hard-working, pleasant professionals who respected the fact that they were in someone else's home. They completed their work very efficiently and promptly and to a very high standard. We would gladly recommend them to others. We are avaliable to give you a quote over the phone Monday - Friday 08:00am - 18:00pm & Saturday 09:00am - 17:00pm. You can contact at us any time using the contact form above. We cover all the boroughs in Tunbridge Wells including the surrounding villages.